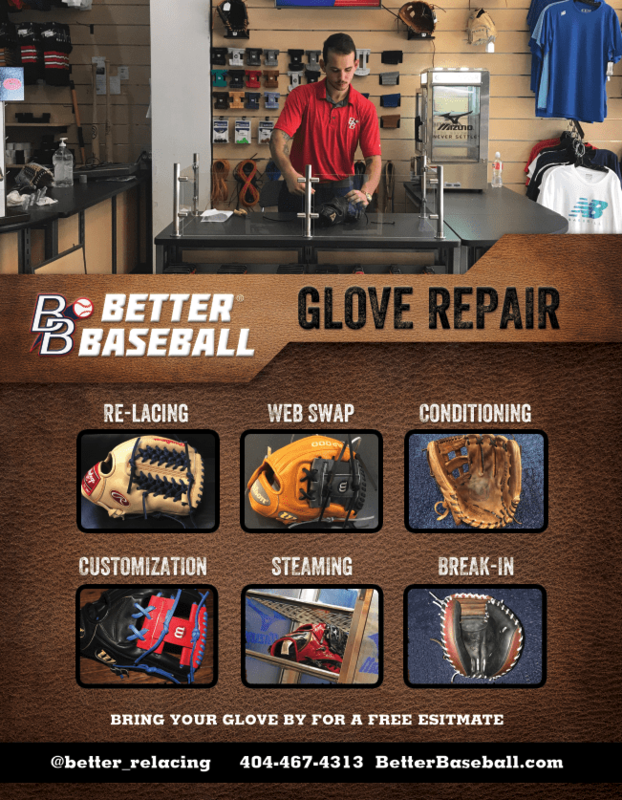 We offer a variety services to help bring your glove back to life. 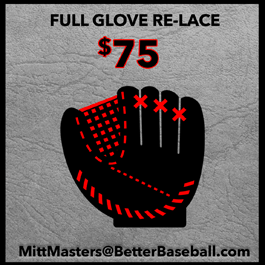 To the left you will see our standard rate for select glove repairs and re-lacing. Some glove webs like modified trapezes, and trapeze webs will be have a $10 surcharge as they require more glove lace. 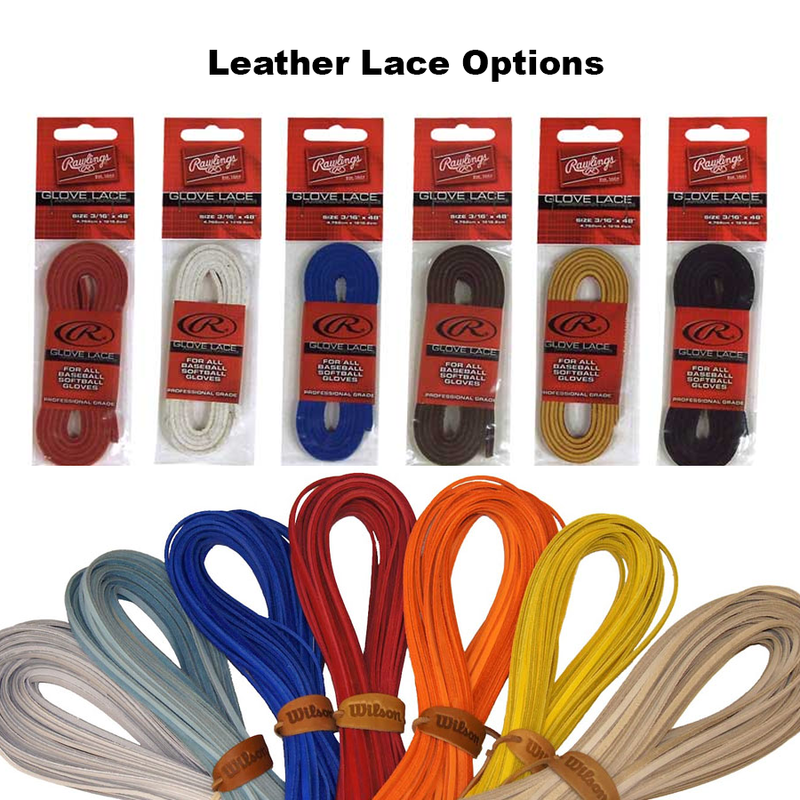 If you would like your whole glove re-laced we do offer a service that will fit your needs. The turnaround time depends on the type of glove, but usually takes around 2-3 days. Rush services are available. For more info please give us a call at 1-800-997-4233. If your glove's leather is dried out or current too stiff for use, we can help! We now offer a full oil reconditioning. This process varies for glove to glove so be specific on exactly where and how you want your glove to be conditioned. 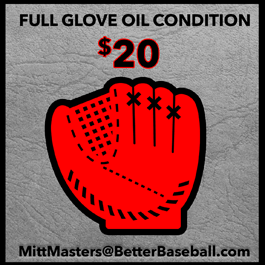 If you live near one of our two store locations, feel free to bring in your glove for a free estimate. If you don't live near by, you can ship us you glove and we can give you a quote over the phone or email. Please make sure you include YOUR NAME, PHONE NUMBER, EMAIL ADDRESS and exactly what you would like done to your glove. Standard shipping rates apply.